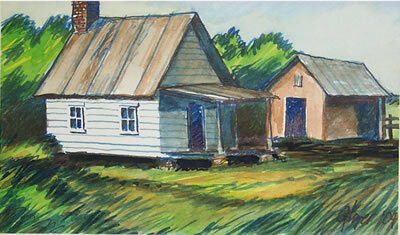 Watercolor: Burke County, Georgia sharecroppers (ca. 1950). 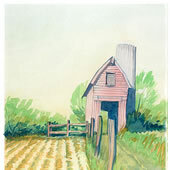 Watercolor and colored pencil: Sharecropper buildings near Tobacco Road north of Waynesboro, Georgia (ca. 1950). 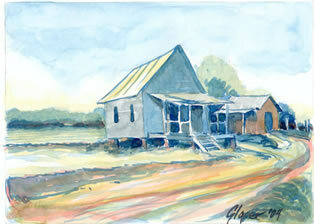 The artist Bob Glover was born in Waynesboro, Georgia, at the Melrose Hotel (1936). 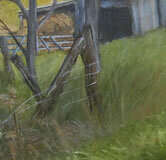 As a youth he ventured out from town on hikes with sketchbook in hand. 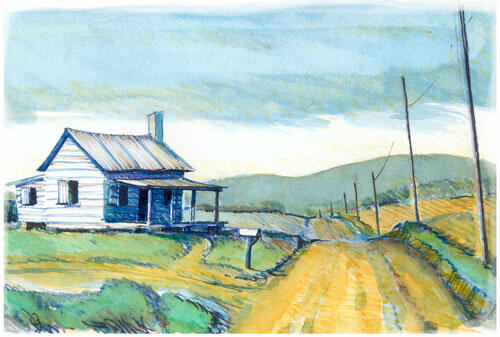 Later he referred to the drawings and did additional sketches and watercolors of what he had seen of the houses of tenants and sharecroppers. 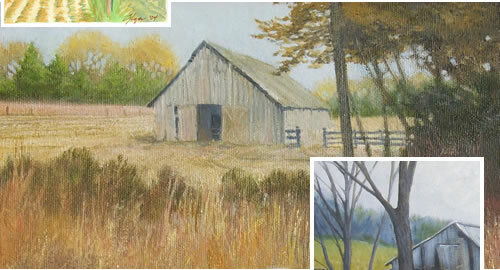 The two sketches pictured were reworks some 50 years later done from memories of a place near Greens Cut, a track crossing on the railroad headed north towards Augusta.